There’s no such thing as an off year in politics — especially in Wisconsin, where we see state judicial elections almost every spring. Earlier this month, Wisconsinites went to the polls to elect a new state Supreme Court justice. Less than 6,000 votes separated the two candidates, Judge Brian Hagedorn and Judge Lisa Neubauer. While turnout in the election was high, the stakes were even higher. Over the past several years, right-wing leaders have turned Wisconsin’s Supreme Court into a deeply biased, conservative institution. Prior to the last election, there was a 4–3 conservative majority on the Wisconsin Supreme Court — now, the majority is 5–2. The court has already upheld some of the most extreme policies of the Walker administration, including restrictions on collective bargaining for unions, reproductive freedom and voting rights. A Hagedorn victory is expected to continue this rightward lurch for at least the next four years. 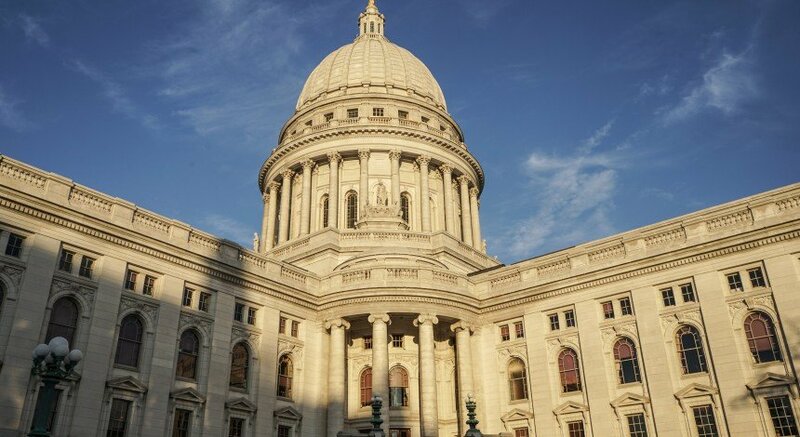 The Wisconsin Supreme Court upholds or strikes down important laws that impact every person in the state, especially those pertaining to voting rights, civil rights and reproductive rights. Additionally, a lesser-known but monumentally important issue will be decided by the court in the new few years too — legislative redistricting. After the 2010 census, Republicans rigged the Wisconsin congressional and legislative maps to keep themselves in power for a whole decade, even if Democrats won a sizable majority of votes in the future. In 2018, Democrats running for the State Assembly won 200,000 more votes than Republicans, yet Republicans won 63 seats to the Democrats’ 36. Put another way, Wisconsin Democrats claimed every statewide office, but only won three congressional districts to the Republican’s five. Wisconsin’s legislative maps are severely gerrymandered and have kept Republicans in control of our state for too long. Hagedorn’s win means he and the court’s conservative majority will likely rule in support of heavily gerrymandered legislative maps, allowing the Republican legislature to stay in power for the next decade. Young people, who have the most at stake in the future of our country, were particularly engaged in this election. Ahead of election day, NextGen Wisconsin, an organization dedicated to engaging and mobilizing young progressives in elections, sent 130,000 texts and knocked on over 7,500 student doors to get out the vote. This was on top of the nearly 2,000 NextGen volunteers who got over 50,000 young people to commit to vote for Gov. Tony Evers in 2018 (more than 60 percent of whom cast a ballot). We can see the impact of our work in this election’s results. In Dane County, Neubauer netted 5,488 more votes than 2018 liberal candidate Rebecca Dallet. According to NextGen research, Neubauer netted more votes in nearly every student ward than Dallet did last year. A handful of voters here and there might not seem like much, but when the results are this close, they are all that matter. Motivated by issues such as voting rights and reproductive healthcare access, young Wisconsinites fought for a say in their future — but it may not be enough yet. The spring 2019 election made clear the role Wisconsin will play in 2020 as the nation’s closest battleground state. The way to beat President Donald Trump and the GOP in 2020 is by expanding the Wisconsin electorate through registering and engaging young people, people of color and progressives. These results demonstrated what we have long known — close races are won and lost at the margins, and we need to start organizing now. The Supreme Court election should light a fire under every progressive — not only in Wisconsin, but across the country. The youth vote is how we win moving forward. That’s why we are launching NextGen U — a free summer training program meant to provide student volunteers across the state with a foundational skill-set for campus and community organizing. NextGen U is a seven-week course that covers a new topic each week. By the end of the summer, each NextGen U graduate will be ready to organize their own campus, and help us defeat Donald Trump and his Republican Party in 2020. Join us at https://nextgenamerica.org/act/wi-spring-election-results/. Nada Elmikashfi ([email protected]) is a senior studying legal studies and entrepreneurship. She is also the chair of NextGen Wisconsin at UW-Madison.